This PIMCO Dynamic Income Fund invests in a global portfolio of debt obligations and other income-producing securities of any type and credit quality, with varying maturities and related derivative instruments. The fund managers are Joshua Anderson, Daniel J Ivascyn, and Alfred T. Murata. The fund’s sponsor is Pacific Investment Management Company LLC. It has $2.3 billion of assets. This PIMCO fund has an expense fee of 0.70%. The yield is 9.40%. As one of the top 10 multisector bond closed end funds for 2016, this fixed income fund is ranked with 5 stars rating. The average 3 year return is 13.88%. It has returned -2.74% over the past 1 year. This best bond fund has an average coupon of 4.41%. The top 3 asset allocations are asset backed bonds, general corporate bonds, and short term debts. Top 5 bond sectors are banks, integrated oil, other financial, restaurants, and gaming. The PIMCO Global StocksPLUS & Income Fund objective is to provide total return to investors. This fund invests in equity index derivative instruments based on the S&P500 and MSCI EAFE Indices and through utilizing an options strategy. The total net assets are $191 million. Its expense fee is 0.62%. The fund managers are Daniel J Ivascyn. The fund’s market price is trading 40.97% premium to its net asset value (NAV). The annual portfolio turnover rate is 3%. The top 4 sectors are Net Other Short Duration, Mortgage, Non-Agency Mortgage, and US Government Related. Morningstar has ranked this closed end fund with 5 stars rating. In 2015, it has year to date return of -6.37%. It has returned 0.95 percent over the past 3 years, and 6.23 percent over the past 5 years. 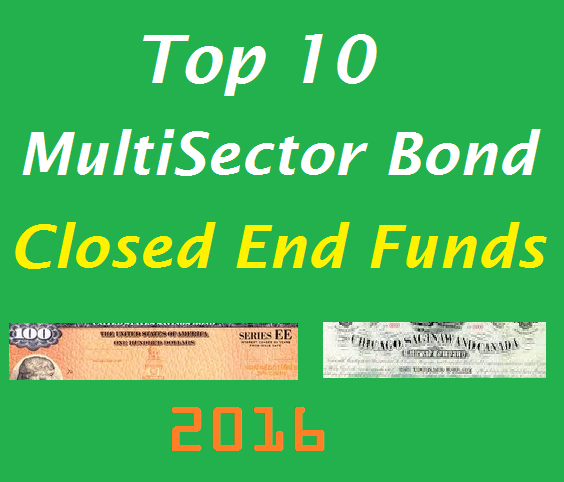 You can buy this multisector bond fund through your brokerage. PIMCO High Income Fund is a popular closed end fund. It has $1.2 billion of assets. The annual expense ratio fee is 1.18%. The effective leverage is 26.43%. The fund managers are Mohit Mittal and Alfred T. Murata since 2014. This taxable bond fund has a high yield of 15.86%. This PIMCO Income Strategy Fund II is ranked with 3 stars rating by Morningstar. This fund has a high yield of 10.55%. It invests mainly in floating rate debt instruments. The expense ratio fee is 1.15% per year. 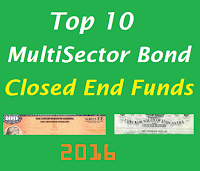 As one of top 10 multisector bond closed end funds, it has returned 4.16% over the past 3 years, and 8.85% over the past 5 years. In 2015, it has a year-to-date return of -0.85%.